The Hunter's Combo Fixed Blade Knife Set from Boker is ideal for all field dressing tasks. 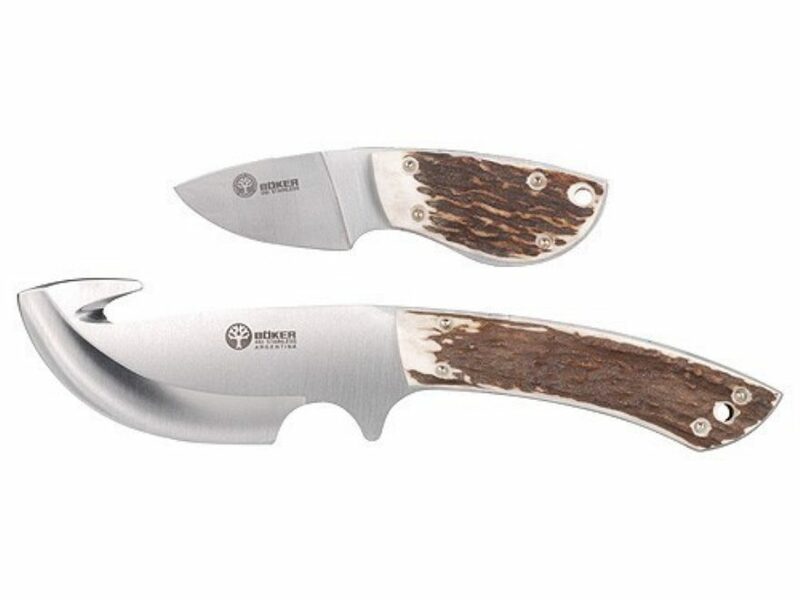 Included in the set are the Gut Hook which features a premium stag handle and a cut hook blade to easily open up a deer, as well as the Caper which also features a premium stag handle. The Caper will allow you to cape a trophy with ease. A leather sheath for carrying both knives is included.